Square Enix has revealed plans to create a new version of Final Fantasy VI for iOS and Android featuring new visuals and adjusted gameplay. Having just spent some effort justifying the high price point of its mobile titles, Square Enix has confirmed that its library will soon be playing host to a new and significant edition: Final Fantasy VI. Originally released as Final Fantasy III in the United States, VI debouted on the SNES and Super Famicom in 1994. The years since have seen it ported to multiple platforms including the PlayStation and Game Boy Advance. According to Square Enix's Takashi Tokita however, the new iOS/Android version will be more than a simple port. "It is basically like a remake of the original VI," he said, pointing to previous mobile ports as an example of what fans can expect. "The battle systems have been altered for the other [mobile remakes] for Final Fantasy and VI will be the same." These changes will include new visuals, akin to the mobile version of Final Fantasy V, and gameplay that's been adjusted to reduce the strain of level grinding. "On the mobile devices the battle systems have been adjusted so you don't have to fight as much and can enjoy the game for what it is." 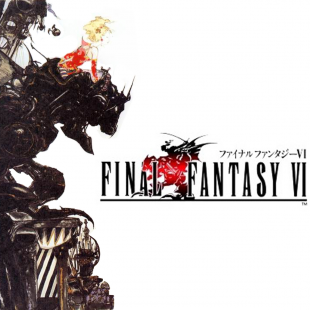 Fans eager to try the new version of Final Fantasy VI won't be getting it right away, however. VI is only the latest announced entry in Square Enix's ongoing series of Legacy mobile ports. Currently, the company's is focused on completing and releasing a 3D version of Final Fantasy IV: The After Years. VI will be coming out after that. Once VI is finished it then plans to take a look at the success Legacy releases and weigh whether or not it wants to continue with the remainder of the Final Fantasy series. "If this Legacy project works out well, we would like to one day be able to work with [Final Fantasy VII]," said Tokita.